Location: River rafting level III-IV, camping & hiking. This really is another exceptionality of River Explorers allowing boaters to take in the Apurimac River camping for 1 night. “Apurimac” as is referred to by the natives of Apurimac and Cusco offers an exceptional rafting experience along 40km (about 24 miles) of rich geologic marvels, beauty, history, and excellent rapids. Snow-capped topped mountains over 5600 meters, Queuñas and Acacias forests are home to elevated huge otters, deer, condors, eagles, foxes, and pumas. I couldn’t ask for more? A superb rafting vacation in every way. The guides chose a perfect balance between high level rafting adventure and safety. Before your departure, your guide will meet with you at your hotel for a pre-tour information. At 8:00 am your guide will pick you up for a lovely trip to the river. After you’ve had a useful pre-driving session, the ride will begin along one of the greatest drives in the area. 3 hours later you will get to the foot of Black Canyon’s gap – about 2200 meters (7250 feet) above sea level – where lunch will be served and setup for the tour will begin. You will be helped by the guides to pack your gear (toiletries, camp clothing, sleeping pads and bag) in a secure dry bag. Right before the rafting, your guides will take you on an intensive safety briefing as food stuff and gears are being loaded. Thereafter everybody selects boats and then hops in for a run-through of everything discussed. At about 4:00 pm, after 2 hours of paddling through rapids and pool segments, we get to camp where there’s plenty of leisure time for hiking, reading, fishing, or just unwinding. The water at this elevation is a bit cooler during the months of May to August, and is ideal for fishing – almost always positive to catch a catfish. You will be served happy hour right after the camp settles, and dinner will follow at about 7:30 pm. At night, the camp is an exceptional and serene experience with an explosion of stars. With an early start to the day, you will enjoy the Apurimac Canyon with the scent of freshly prepared Peruvian coffee. Also enjoy a refreshing breakfast with fruit salads, bacon, porridge, and pancakes at your own comfort. After that is done it’s time to exit camp, pack your dry bags and jump in the boats for the river rafting of the day. 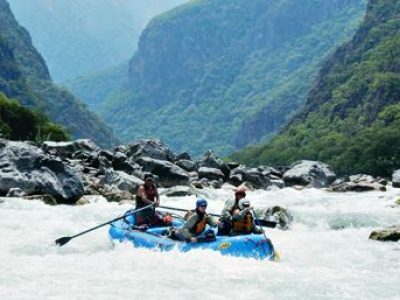 The Apurimac is regarded as one of the best rafting rivers in the world, but it’s also considered a fantastic destination in terms of its exceptional views and wildlife. The day’s rafting commences about 9:00 am with a series of some of the finest rapids on the Black Canyon segment today. The Wall, El Encuentro, The Abis – all level IV rapids – where so named by the foremost Apurimac river runners. The largest rapid to date, The Troublemaker, is one of the toughest in the Black Canyon segment. You must first go through a continuous series nice waves before entering a small pass in the middle of a rock and 2 big holes, and immediately after, small segments of level III having enough rapids to get you pumped up with adrenaline throughout the run! After this nerve-racking sector, you will have a view of waterfalls running down hundreds of meters into the rocks of the Apurimac River. As there are more rapids to run, the adventure continues until the river levels out, offering the best opportunities to make use of our single-person inflatable kayaks or swim or take a dive in. We now come to the end of a wonderful adventure of camping, rafting, and spending exceptional time with family or friends as well as guides. You will be served a final delicious lunch with cold beers at the river bank, perfect to reminisce all the great times inside of the Apurimac, after which we will pack up and take a trip back to Cusco. All meals: Lots of delicious fresh food. One lunch on day one and day three made in Cusco by our cook, one lunch in the river made by your guides. Breakfast, two breakfast made by your guides on the day two and day three. Dinner; two dinners made on the river by your guides. All rafting equipment: Including the best type V in buoyancy aids, spray jackets, helmets, wet suits with long arms and legs, and paddles. Dry bag; Expedition dry duffel to store personal gear, this are bags with comfortable shoulder straps. Boats; self bailing rafts, kataraft or kayak for safety and luggage boat. All camping equipment: Two persons tent, kitchen tent, tables, chairs, kitchen gear. Satellite phone and GPS emergency communications. Guides: Swift-Water Rescue advanced III and advanced first aid certified and experienced guides. Know what to pack for your Apurimac whitewater river rafting. Even if you are a rafting veteran, you can still forget what to pack for the rafting. 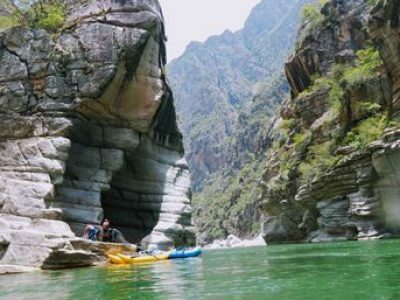 This packing list is a guide with specific details and suggestions on what you should bring for Apurimac Black canyon river trip. Chaco or Teva sandals are a popular choice, but they are not ideal for rafting in the Apurimac Black Canyon. Closed toe, a secure fit and good grip soles are essential. Flip-flops are not allowed on or out the river or anything that comes off easily. To wear inside the wet-suit we advise a comfortable, thin and light top and pants made from fabric that insulate when wet, it can be wool, polypropylene, pile, fleece etc. Absolutely cotton fabric isn’t recommended at all. Pair of neoprene, thermal or woolen socks. Most wet-suits materials are slippery on the boats, wearing a short will give an extra grip and will help preventing for falling over the raft. High UV protection, water resistant sunscreen (small). Sunglasses with strap attached to the two ends of your sunglasses. Sleeping bag rated to Comfort 10°C – 50 °F during June and July and 20°C – 68 °F and mattress (rent for U$25). Fast dry tracksuit or camping pants, shorts, not jeans or heavy pants. Woolen or thermal hat (during May to July). Runners or very lightweight shoes or sandals with two pair of socks. *Heavy boots are not useful, they take lots of room in your dry bag. Head flash light or small torch, with extra batteries. Eco friendly soap, tooth paste and tooth brush. Money: You can buy drinks or snacks in the first and last day before and after the rafting. Medication: Take medications that you use regularly, analgesics etc. We carry our own first aid kit for emergency use. Extra prescribed glasses or contact lenses. Please, avoid wearing jeweler on the River. Our maximum number of people per group is 18. Departures are 100% guarantee with a minimum of 2 people.